Did you celebrate the end to a Dry January at the weekend? 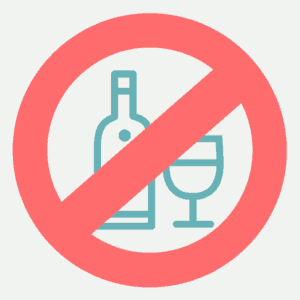 We’re all well aware of the harmful effects of alcohol; whether it’s an almighty hangover or the tendency to gorge on junk food, these short-term symptoms are, over time, often usurped by the longer-term damage we’re doing to our bodies and the subsequent health problems. 1. Why can too much alcohol lead to problems? The number of associated calories easily explains the negative aesthetic effects of alcohol consumption. Weight management is a simple balancing act – consume more than you burn off and you’ll gain poundage, which for men is usually around the middle and for women more commonly around the hips and thighs. This explains why well-known footballers have managed to keep their addiction a secret, the huge amount of exercise they do helps to burn off the calories they drink, so it’s not obvious to the naked eye they have a problem. Since the man or woman on the street is not likely to be training for hours every day and then playing a game at the weekend, more of those excess calories tend to take residence. 2. What long-term health problems could they cause? In addition to the well-documented health issues, such as increased risk of heart disease, liver malady problems can also occur in the pancreas and the nervous system, while a failure to absorb vitamin B1 can lead to co-ordination, sight and memory problems. There is also an increased risk of cancer of the mouth, pharynx and breast. 3. There’s obviously no magic bullet for busting a beer belly (other than drinking less and getting more exercise). But are there exercises which can help focus on a problem area (bellies, love handles, ‘moobs’)? To remove the belly, cardio sessions need to be built around the use of intervals, as this will allow for a greater volume of work to be done during each session, significantly boosting metabolic rate and expending more calories. A period of slow pace should be followed by a shorter period of medium pace, followed by a short burst of sprint and then back to slow pace. This can be applied to running, swimming, cycling and rowing. Running: 8 lampposts jog, 5 lampposts run, 2 lampposts sprint, then repeat. Swimming: 5 lengths breast stroke, 2 lengths backstroke, 1 length front crawl, then repeat. 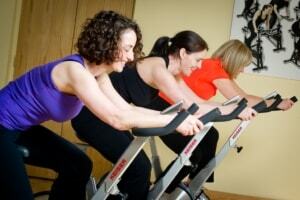 Cycling: 10 mins slow, 5 mins medium, 2 mins fast, then repeat. To tone up the moobs and even increase the pectoral muscle size, there are no shortcuts – it has to be to be resistance work to failure. Ideally, in the gym, varying bench press, incline press and flys, also switching dumbbells and barbells. If you’re not keen on the gym, just be creative with press ups. For instance, place your feet on a chair, incline with hands on two chairs, on a fitness ball, one hand, etc. Of course, cutting back on alcohol isn’t all doom and gloom, especially with the range of delicious Mocktails available from our Bars – pop in and try one on your next visit! If you’d like to learn more about keeping in shape, feel free to check out the rest of our fitness articles – or book a stay at Ragdale Hall, we’d love to welcome you.